Before we spiral into a world of nothing but Christmas anticipation, I thought I would take a moment to address the fact that it's officially the beginning of Summer here in Australia. The next three months will (likely) bring terribly hot weather, dehydration and the inevitable sunburn. Trust me, no matter how much one 'slip, slop and slap's' there is still an 80% chance your skin will burn if you decide to step out of your house on a 'lovely' and 'breezy' 45C day. Okay, so the hot weather makes me a little more sarcastic than usual but honestly I can't stand the Australian Summer heat. I would much rather be with my relatives in Germany, rugging up and walking along the Christmas markets in the Winter snow. Alas, I am not a millionaire and cannot afford to constantly travel to avoid the Summer heat, so I thought I would share some of my top tips to staying cool this Summer. My daily Summer essential begins with SPF protection. On the off chance that I decide to actually venture out of the comfort of my cool house in the Summer, I will always opt for a broad spectrum sunscreen. I'm not fussy about which sunscreen I use all over my body but I always opt for the Anthelios 50+ XL by La Roche Posay on my face. Gotta keep my face beautifully wrinkle free! In similar vain, my next essential also protects me from the Sun. I purchased these Aviator style sunglasses with a Rose Gold frame from Cotton On a few months ago and have not stopped wearing them since. A Rose Gold colour and Sun protection? Honey, I'm in love! Summer time calls for dresses that don't stick to every single nook and cranny while I sweat litres out of my body. I usually tend to opt for light, flowy maxi dresses but this one from Boohoo is great for those really hot Summer days when you need to just get your legs out. 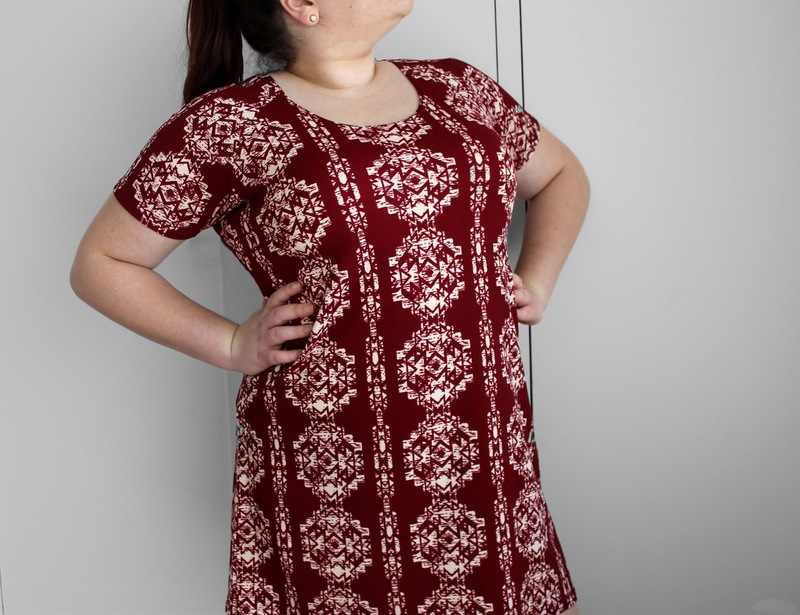 This Aztec print, shift dress* would be perfect for a casual day out! When the Summer days start to get unbearingly hot and your mascara starts running down your face, you're only one step away from officially being a hot mess. My Blinc Amplified Mascara* is always the product I turn to that ensures my lashes volume, length and longevity and keeps me looking and feeling less like a hot mess and much more put together. When my mascara is in control, I feel like my life is in control. I've got my lashes, clothes and sun protection in control, now all I have to do is keep my lips hydrated! I feel like your lips are the most neglected part of your body when it comes to the Summer time and they can easily lose their hydration and suppleness if you don't take better care of them. 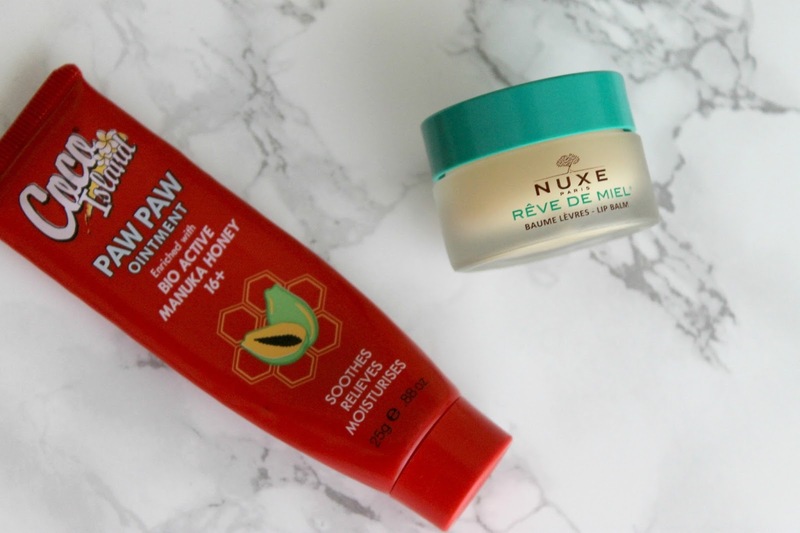 I love to use a deep conditioning, hydrating balm at night, like this one from Nuxe, but during the day I generally love to slather them in Paw Paw Ointment. Remember, even your lips can get burnt in the sun so take good care of them! What are some of your essentials for the Summer time? Are you like me and prefer colder weather or do you thrive in the heat? Thanks so much lovely, glad you enjoyed it! Thanks Harija, I'm so excited for Christmas! Aww thanks so much hun, I absolutely LOVE that sunscreen! Sigh...if only it's Summer here but now we're entering winter so it's dark, gloomy and bloody miserable. LOL! As we are having our winter essentials out, it sounds weird to read summer essentials :) That dress is so lovely! Haha it is very weird! Thank you so much! Thanks Olivia, I love it too! Thanks Summer, they are awesome value for money! Great products! Gotta do some shopping now.